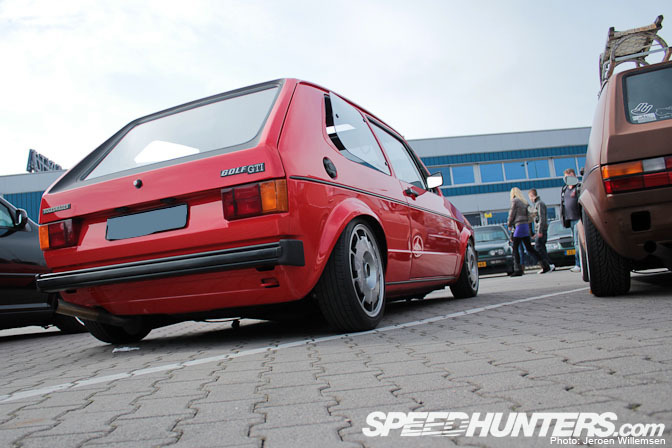 awesome MKII on BBS wheels. 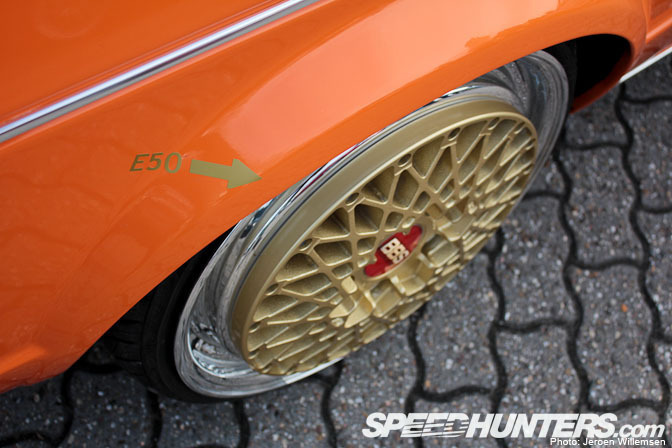 there aren’t any mistakes about the type of this BBS wheel. there for the stance or how low it was, or were they? although I’m not sure which model. to share it with you guys. that really added to the look. just looked very clean and nothing looked out of place. Airbags allow the car to lowered to its lowest, allowing the audi wheels to tuck into the arches. wheels for these ultra lightweight 20″ OZ wheels. 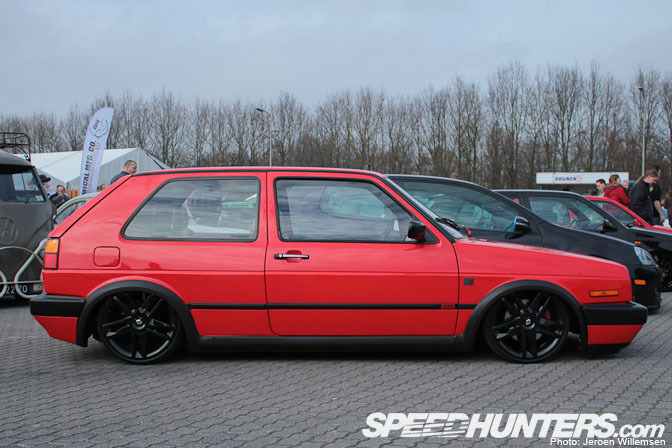 The best stance belonged to this Golf MKIV. old school Porsche C2 wheels. Another familiar face was this MKI that I drove and spotlighted back in October last year. 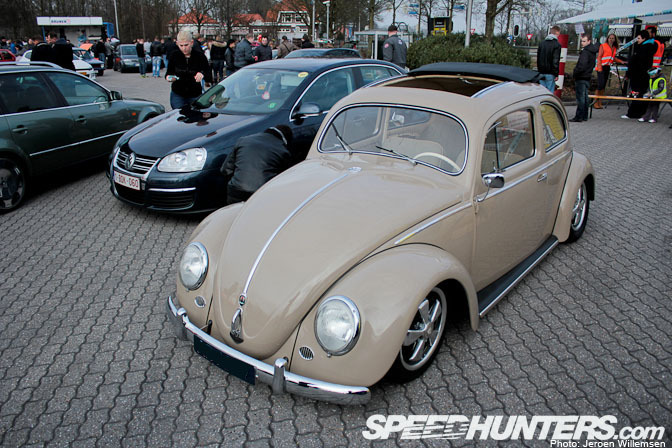 The Volkswagen Beetle still attracts me, especially when it is as immaculate as this one. "Airbags allow the car to lowered to lits lowest, allowing the audi wheels to tuck into the arches"
Lol at moron with busted oil pan. Is he low enough now ? The only one I really like is the truck. That thing is mean looking. Yawn. Wolkswagen. Yawn, Stance. Yawn, BBS. Yawn. spotlight on the new Golf with Schmidt wheels maybe? It's hopeless... whatever you do to a Golf: it stays boring mainstream dullness. its not leaking oil. its marking its territory. Love the VWs. cant wait to finish building mine to this quality. Love that crisp white MK1 on black BBS, but I think the Renault wheeled MK2's tyres are way too small(don't think they're Megane RS wheels Jsaenz). I also agree with Smidt on the R8 wheels.....however I love the Beetle and the MK5 on Alphards, just clean and simple with subtle touches. 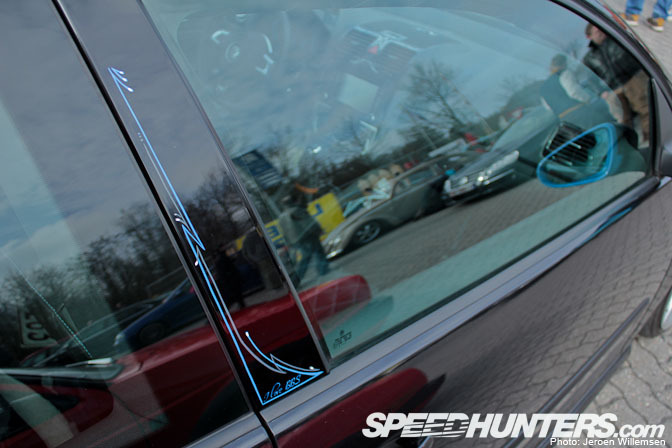 Personally I believe that the motive of the SpeedHunters movement is to appreciate our RAPIDLY growing culture. There's nothing wrong with anything that anyone does with their vehicles. 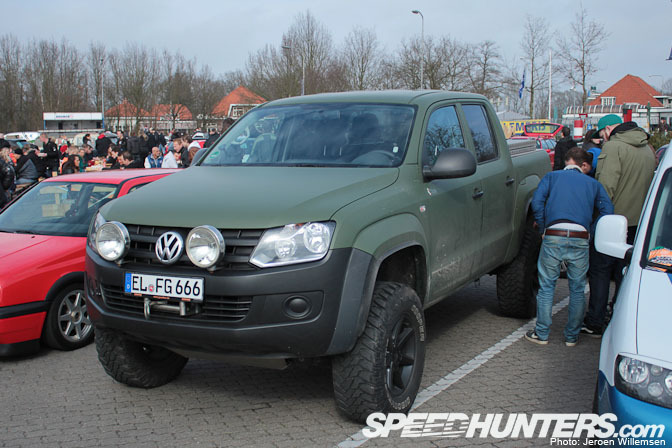 Hell, I personally think that (even though its not my style) that the VW guys have awesome test. Yes, not all are perfect, but that's the point. its an expression that should be well recognized. We all need to stop bashing and YAWNING and all this nonsense. You just make yourself look very close minded. I have been coming to this site since 2009 because it was FINALLY a site for people of all different styles to band together and discuss our favorite hobbies. From FIA to Formula D to Le mans. This takes so much effort and money to create. If you don't enjoy it go to those single manufacture focused sites. PLUS BBS wheels are beautiful my dads got them on his E39 and they look awesome. Moral is people. Just stop the negativity and grow up haha. hold on hold on. 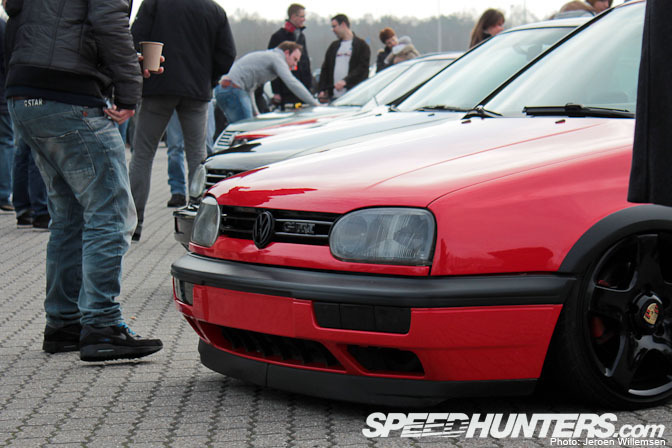 Best Stance on a car that had 1" of poke in the rear and 1" of inset gap in the front? That's really the best there? 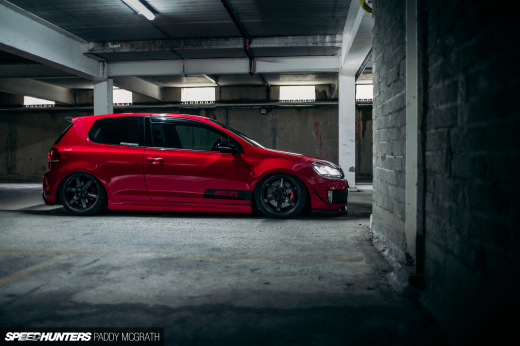 i think that MK6 looks quite nice with the schmit wheels, something different from the usual vag and bbs! any chance of some more pictures?! That dude should really change his oil more often, then again he drives a VW so he probably has jiffy lube do it.